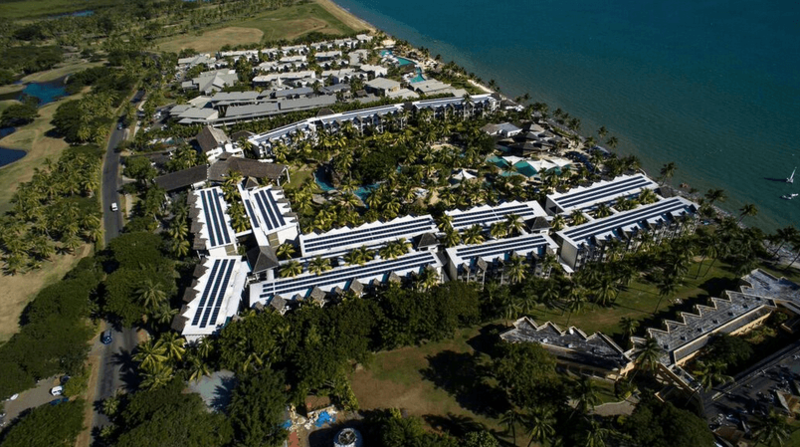 Just 15 minutes drive from the Nadi International Airport sits a newly built hidden gem that blends an island style inspired beachfront resort with modern suites designed for comfort. Here, the sands of Wailoaloa Beach awaits as you walk out the door, a beachfront sunset deck & beach inspires days spent basking in the Fiji sun, and a world-class spa invites serenity and calm. Dine on authentic Pacific Islands inspired dishes at our rooftop restaurant The Mariners Seafood Bistro, or sip your favourite drink poolside. We are perfectly located for easy access to a range of great activities including: Game Fishing, Scuba Diving, Surfing, Day Trip and Cruises, Sight Seeing and more. Sunergise began operations with the introduction of the world’s largest installation for a marina at Port Denarau in Fiji. In 2014 The World Bank’s International Finance Corporation (IFC) took a stake in the business. The Sunergise group is the leading solar power services company in the Pacific Island region, with a growing portfolio of solar projects in Niue, Nauru, New Zealand, Fiji, Vanuatu, Marshall Islands, Papua New Guinea and Solomon Islands. To date over 13 MW of clean power has been installed and over 20 gigawatt-hours of electricity produced by Sunergise. The property is being developed by the Gokal Group of Companies and will be operated by the Accor Group’s Pullman Brand. 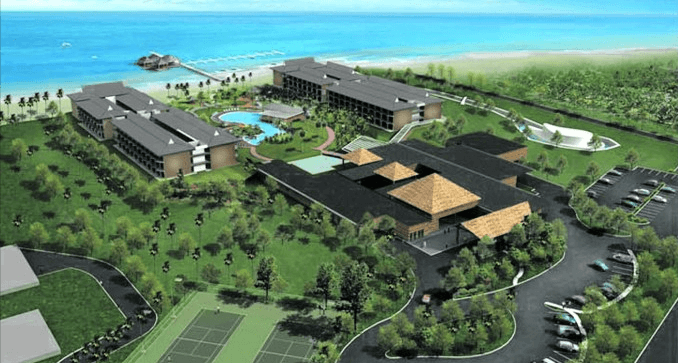 The resort itself is in its final stages of completion and will have 236 rooms with four restaurants, three bars, a spa, a gym and a conference facility that could seat up to 400. The 236 rooms include king-sized suites of which a majority of them are facing the beach and includes a lounge room, small bar, lots of seating and couches, a king size bed with a bathroom with separate showers. All furniture for the resort were designed in Fiji and made overseas and the resort has incorporated the use of the Fijian magimagi in a lot of areas including the spa and rooms. The restaurants include a signature Thai restaurant on the beach called Kah, Barefoot, a poolside restaurant, the Magiti Restaurant and Dandan, the noodle house. At full occupancy, the hotel will have 270 staff on site. Nila Beach Resort is the culmination of a 10-year dream shared by Mohan Chinnusamy and his wife Nila, after whom the property is affectionately named. Situated in the Vuda Point area and developed on 23 acres of land, the resort is a short 10 minute drive from Lautoka (Fiji’s Sugar City) and 15 minutes from Nadi town. Nila is the quintessential setting for travelers seeking a quieter and more natural vacation that deviates from the conventional mass-traveller experience. Nila Beach Resort, nestled in a tranquil cove, hits to the heart of that revitalizing and enlightening experience. With the picturesque Malolo Group of Islands framed by glorious sunsets each evening before you and rugged mountains standing sentry behind, just relax and savour the embrace that is Nila Resort. H.I.S. is one of Japan’s leading travel organisations. Founded in 1980, it is now one of the most recognised brands with 287 stores in Japan, including 162 branches in 113 cities, in 55 countries globally; with the company becoming listed on the Tokyo Stock Exchange in 2004. The Oceania Region’s first office opened in Sydney in 1987, having spread to Melbourne, Brisbane, Perth, Gold Coast, Cairns, Auckland, Nadi and representative offices in Nouméa and Pape’ete. Travel Fiji is a brand of H.I.S., whose core passion is to deliver quality Fiji travel packages to both corporate and leisure customers at competitive prices, while maintaining the flexibility and first class service that customer’s desire. Debra Sadranu (founder) moved to Fiji in 1998, where she saw the need to develop Fiji’s Beauty & Spa Industry. Debra created a totally integrated operation specializing in spa training, spa operations, product manufacturing & the Essence of Fiji Rejuvenation Centre, a high end transit lounge catering to Fiji travellers. Debra’s expertise has enabled her to set a high level of quality assurance throughout her entire operation. Our Spa Academy becoming a CIDESCO accredited school provides the highest recognition in beauty & spa training worldwide. With 70 employees and a highly skilled executive team, who share Debra’s passion for ‘rejuvenation and wellbeing’. Together they deliver products and services to match world standard requirements whilst incorporating education for employment in a viable vocation. 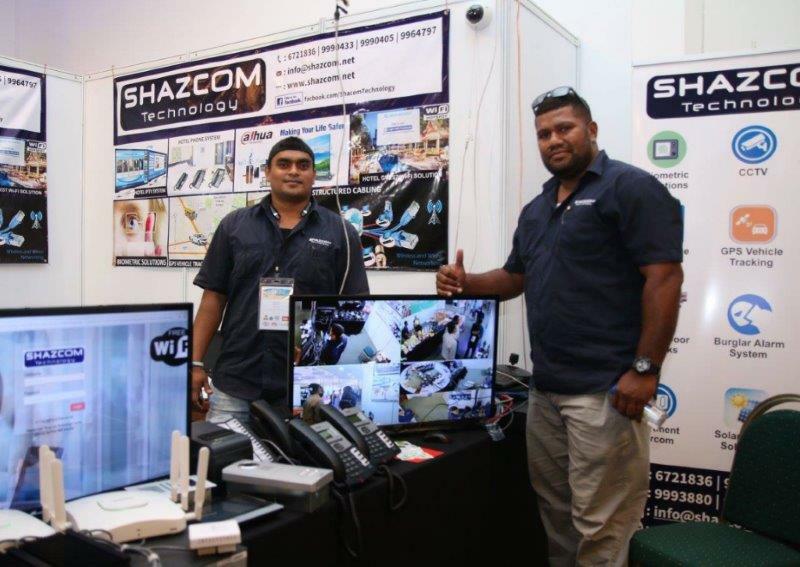 SHAZCOM TECHNOLOGY is dedicated in bringing the latest technology to the people of Fiji and the South Pacific at large. The mission of the company is to bring in the latest, advanced and stable technology products into Fiji and improve the lives of all fellow Fijians. We specialise in CCTV Systems, PBX Phone Systems, GPS Vehicle Tracking, Burglar Alarms, Biometric Systems, Structured Cabling, Satellite and IPTV Solutions, Hotel Card Locks with Power Saver Switches, Guest Wi-Fi Hotspot Solutions and Solar Power Solutions. We live & breathe Google Services, Digital & I.T. As Fiji’s leading Google Cloud Partner, we can assist your business, hotel or organistaion in assessing the suitability & benefits of Google’s various workplace service platforms including email, hosting and data storage (GSuite etc. ), as well as providing insight into the growing range of complimentary hosted enterprise enhancement platforms. Our Digital team focus on web design and development, web hosting, SEO, Google AdWords (SEM or Pay-per-Click), email marketing automation and digital transformation projects. And of course – we are passionate about providing the most responsive I.T. Consulting & Support to your hotel, project or operation – no matter how complex, remote or challenging. Our aim is to take your pain points or opportunities and suggest solutions. 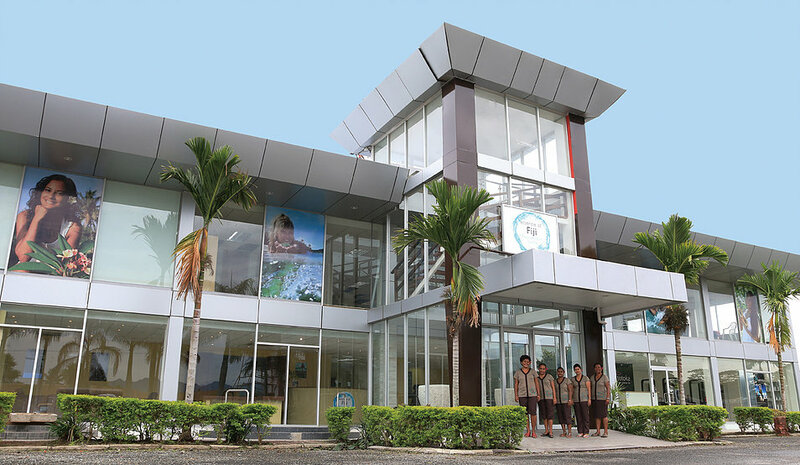 Maya’s Magnuson is a brand new hotel of International standard conveniently located within walking distance to Nadi Town and just 10minutes to Nadi International Airport & less than 30minutes to Lautoka City, the main western sea port of Fiji. This is an ideal hotel with beautiful setting to suit all of your accommodation requirements for flying in and out of Fiji including transfers to all islands resorts through our tour desk facilities. Maya’s Magnuson is equally suitable for business travels and holiday vacation which the hotel hosts regularly as both participants from Fiji and overseas can fly into Nadi Airport. The hotel provides all free pickup services to and from the Airport. Maya’s offers three types of accommodation which includes all the modern room facilities, a room should have. You can choose from 2 Double beds with air- conditioned, 2 Double beds with fan and backpackers. Discover your own tropical paradise at the new Fiji Marriott Resort Momi Bay. 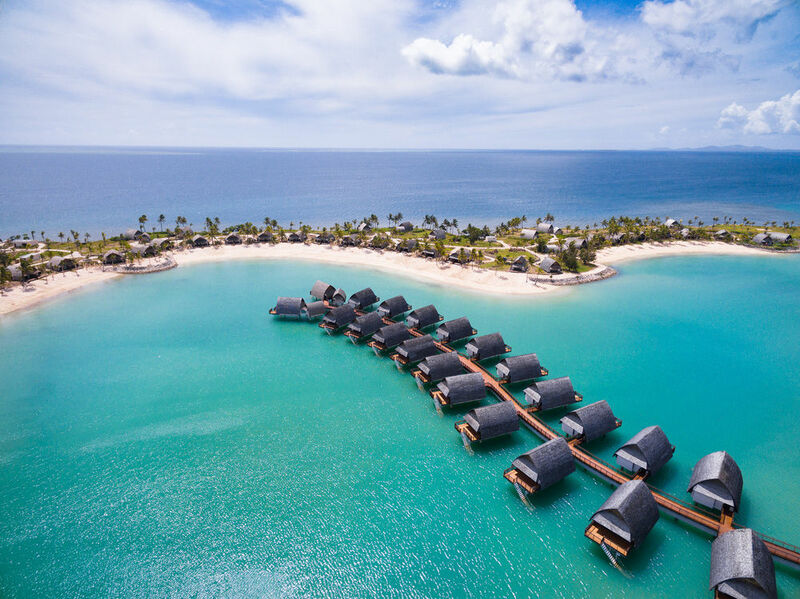 The resort features 136 contemporary Deluxe rooms and 114 luxurious Bure Villas, including 22 unique over-water Bure Villas with direct lagoon access. All rooms and Bure Villas come with a private balcony or terrace and extensive views of the pool, lagoon or ocean. Soak up the sun at one of three large swimming pools, relax at the swim-up bar and indulge in one of our signature cocktails at the Lagoon Lounge. Rejuvenate with a treatment at Quan Spa or enjoy the resort’s extensive water sport activities. Discover our three intriguing destination restaurants & bars including Fish Bar, a refined dining experience which boasts breath-taking sunsets. For destination weddings or business groups, Fiji Marriott Resort Momi Bay offers modern and flexible meeting and event space, integrated with a state-of-the-art audio visual technology and supported by a team of culinary professionals.